Oh wait, it gets worse!!! 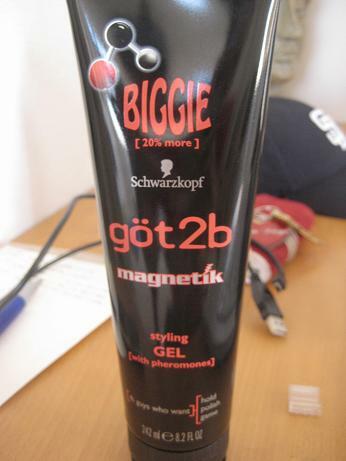 b WARNED: THIS GOES BEYOND YOUR ORDINARY STYLING GEL. 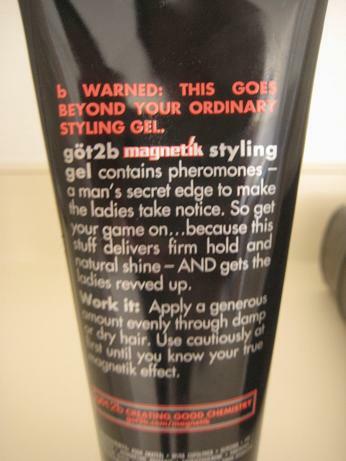 got2b magnetik styling gel contains pheromones - a man's secret edge to make the ladies take notice. So get your game on...because this stuff delivers firm hold and natural shine - AND gets the ladies revved up. Work it: Apply a generous amount evenly through damp or dry hair. Use cautiously at first until you know your true magnetik effect. Typing the label just makes me a bit queasy and embarrassed for any guy who reads this and thinks to himself, "yeah, this stuff will definitely get me some action with the ladies!" 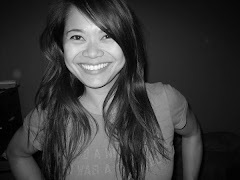 * Completely off topic, but if you are sharing an apartment with someone and have separate bedrooms, do you refer to them as your housemate or roommate? I certainly know YOU don't need it! Perhaps one of your mates? ?